Amana’s communicating line of central air conditioners are designed for installation as part of a complete system that coordinates components to maximize efficiency and comfort within the home. The Amana model ASXC16 central air conditioner offers excellent efficiency as well. Dylan in Ann Arbor, Michigan sends along this HVAC prices post regarding the Amana model ASXC16 16 SEER central air conditioner price. “I’m renovating an old house here – very old – and the first project was to replace the HVAC system. The house is going to be a blend of 19th century Gothic revival architecture and very modern technology, so I wanted a system in keeping with the theme – the modern side of it, that is. The Amana ASXC16 A/C and compatible Amana 95% AFUE furnace fit the bill, especially with the added ComfortNet Communications controller to coordinate components and reduce humidity in the muggy weather we often get mid-summer. 16 SEER performance when installed as part of a total Amana ComfortNet system. 2-stage cooling supplied by the UltraTech scroll compressor from industry leader Copeland. Dense foam compressor blanket reduces noise. ComfortAlert monitors the system and can send diagnostic codes to the ComfortNet thermostat/controller. High pressure and low pressure switches. Ambient temperature sensors for more balanced cooling. Limited lifetime unit replacement warranty on the compressor; 10-year parts warranty. When you invest in a high-tech HVAC system for your home you want to make sure that you are getting the quality operation and efficiency you expect. 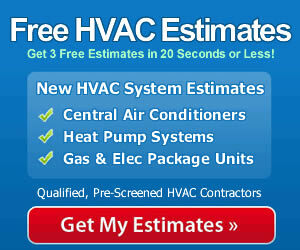 The best way to ensure peak performance is to hire a qualified contractor to install the system. They have the know-how and experience to do the job correctly which is the key to safe and efficient functioning of the entire system. When shopping for air conditioner prices and models to fit your needs, also look for a qualified professional you can trust to install your components so you get the best return on your investment. Yes, I need to replace an old Lenoox 5-ton air condenser and heating unit with a new one. The heating unit is in the garage easy to get to, and the condeneser is in the back yard. Approximately how much would it cost to replace with an Amana ASXC16 condensing unit and a heating furnace with 120,000 btu and 96% efficientcy?